Stacy has over 9 years experience training and teaching (Japanese) Jiu Jitsu and Krav Maga. Not only has he trained all over Australia with some of KMG’s best regional instructors, but since January 2014 he has had the opportunity to receive over 270 hours of training from KMG’s Global Team. In completing KMG’s demanding General Instructor Course (GIC), Stacy earned his KMG teaching credentials from currently active military serviceman, Rune Lind and former Israeli Counter Terrorism instructor, Ilya Dunsky. In addition to the GIC, his training has included specialist courses, seminars, and instructor updates delivered by kravists of the highest calibre such as Eyal Yanilov (Head Instructor and founder of KMG). He also learned how to teach Krav Maga responsibly and effectively to children from the second highest ranking instructor in the world, Zeev Cohen (Master level 2). 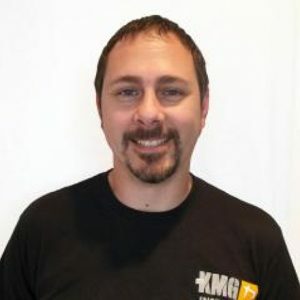 In order to maintain the quality of his skills as a kravist and an instructor he participates in regular training with other local KMG instructors as well as members of the KMG Global Team. He takes his role as a self defence instructor very seriously. Making his students safer is not only his passion, it is his profession, so you can be assured that you are receiving valuable tuition in a system that is simple to learn, has been proven to work, and is being delivered according to a well-researched methodology by an experienced teacher.